Former deputy chief minister and NCP leader Ajit Pawar on Saturday blamed the state government for the water crisis looming over Pune, the BJP demanded a white paper on water leaks and thefts and the Congress held a day-long fast to register its protest over the impending crisis. Pawar, who was speaking to the media on the sidelines of an event at Vasantdada Sugar Institute in Pune, also said the Nationalist Congress Party and the Congress have reached an agreement on about 40 of the 48 Lok Sabha seats in Maharashtra. Recently, the Maharashtra Water Resources Regulatory Authority (MWRRA) upheld its directive of reserving only 8.19 thousand million cubic feet (TMC) water for the city. On Friday, District Guardian Minister Girish Bapat had said the Pune Municipal Corporation (PMC) will appeal against the order before the state government. Pawar, who was also the guardian minister of Pune for 10 years, said instead of resorting to water cuts, the government should have managed its available resources. The state government, he said, should have stopped the usage of drinking water for construction purposes and should have asked builders to use water from wells and other sources in the city. “Water crisis is not new to Pune but this problem is a result of mismanagement by the state government,” he said. Pawar said even though the MWRRA has reduced the amount of water reserved for Pune, the state government had the authority to strike it down. “I remember, once the dams that supply water to Pune had to reserve 2 TMC water to release it downstream and we still didn’t let that affect Pune’s water supply,” he said. Water has always been a tricky issue for Pune, with the Irrigation Department claiming that the PMC draws more water than it is allotted. However, civic officials say the city requires more than its allocated supply, given its floating population. 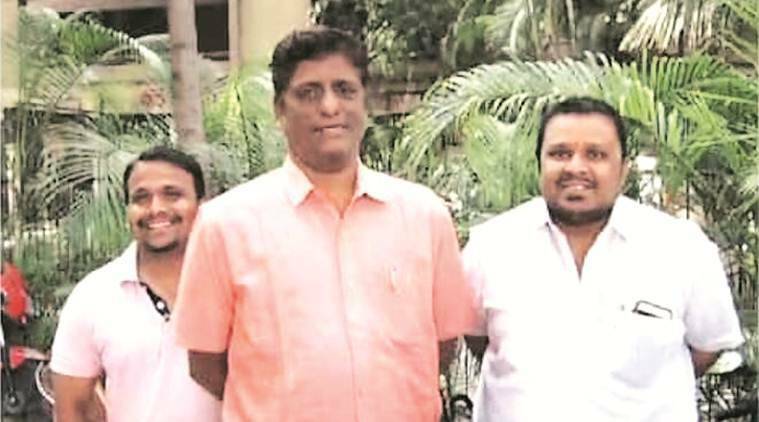 Responding to Pawar’s allegations, BJP’s city unit president Yogesh Gogawale said the NCP leader’s statement was politically motivated. “BJP has been consistently demanding that the Irrigation Department and the PMC should come up with a white paper regarding water leakages and water thefts, which will bring clarity…,” he said. Gogawale said Ajit Pawar used to be the district guardian minister as well as the irrigation minister, and he should himself set the record straight vis-a-vis water leaks and thefts. Meanwhile, the city Congress on Saturday held a day-long fast in Mandai area over the water crisis. Congress leaders, including Anant Gadgil, Satish Desai, Shantilal Suratwala, Sanjay Balgude and even NCP leaders like Ankush Kakade attacked the PMC and the Irrigation Department over the alleged mismanagement of water. Five dams near Pune supply water to areas under the PMC, and also to Daund, Indapur and rural parts of the district. The amount of water is ‘reserved’ for drinking as well as irrigation purposes. While the water levels of Khadakwasla, Temghar, Panshet and Warasgaon dams are relatively better, the Temghar dam reportedly only has 3.67 per cent water. With a long and gruelling summer ahead, water cuts can not only become a reality in Pune, they could also be a major issue in an election year. Meanwhile, Pawar said the NCP and Congress have reached an agreement on 40 of the 48 Lok Sabha seats for next year’s Lok Sabha election. “We are again meeting next week to discuss the remaining eight seats,” he said. A final decision on Pune seat is yet to be reached. The NCP leader said the alliance wanted to take all ‘secular’ forces together to prevent the division of votes.